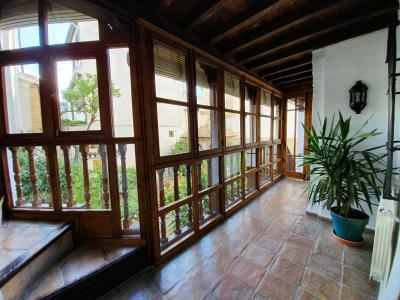 Lock in a great price for Casa del Aljarife – rated 9.6 by recent guests! 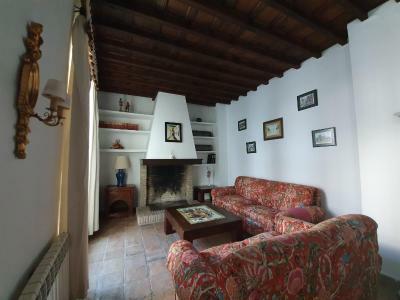 Perfect location, beautiful home where we could feel the history in its walls. 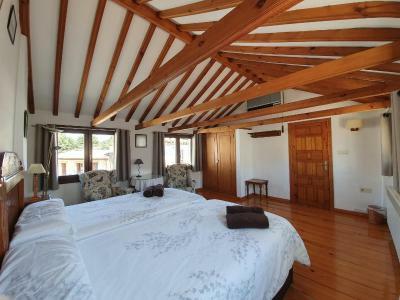 Clean and spacious, comfortable beds, luxurious towels, well stocked fridge with very reasonable prices. 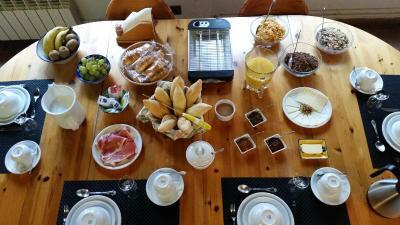 Delicious continental breakfast had an abundance of choices and was served at a time we chose. Damian and Rocío are wonderful hosts and gave great recommendations for restaurants and anything else we needed. Stay here if you are in the area!!! 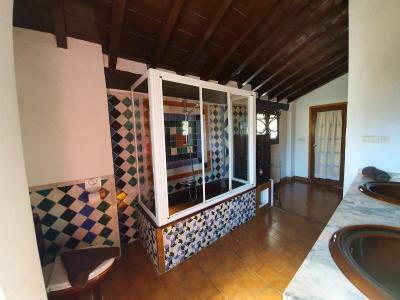 Nice landlord, and you can feel his Andalusia passion just from checking in. We are shy persons, and he also left us enough room to enjoy vacation. 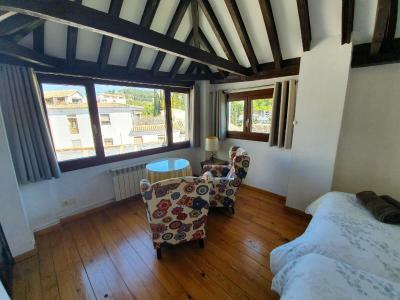 Two rooms are available when we checked in, and landlord asked us to choose one we like and the one with terrace is definitely good value. You can start your day by enjoying breakfast by landlord's wife, and she always asked us whether we need more haha. 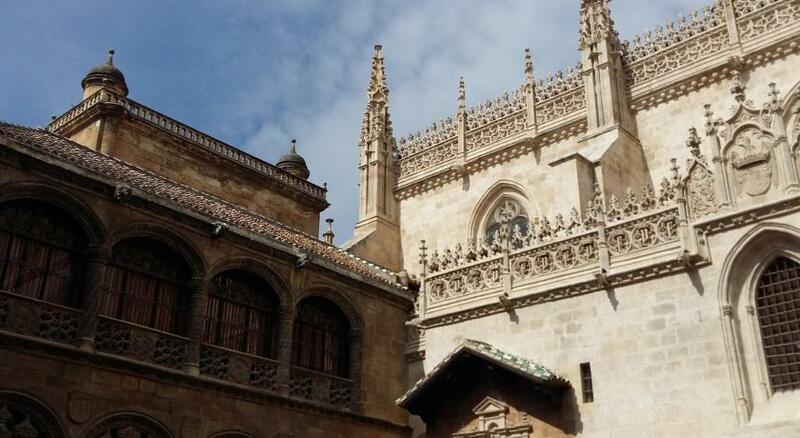 Located in Albayzin area, and you can walk to Nicholas church to enjoy the songs and Alhambra palace in sunset. Fabulous suite. There were 3 in our party. Plenty of room, with comfortable chairs & sofa. 1 1/2 bathrooms, A/C, patio area & helpful hosts. Highly recommend. 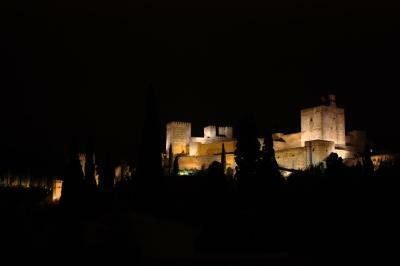 The view from my room (#4): the Alhambra. Plenty of space to feel comfortable. 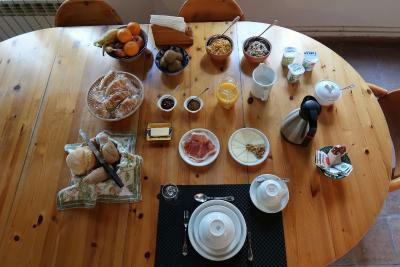 Friendly hosts and delicious breakfast. 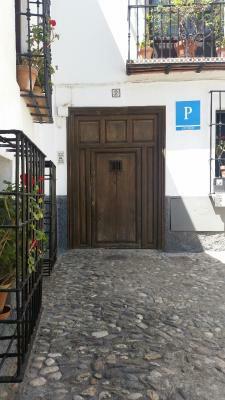 The owner of the hotel and his wife had excellent ideas of how to spend our time in Granada. 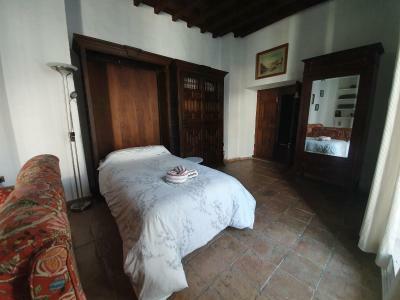 The room was spacious, actually a suite with a living room, a bath and a half, and bed room and an entry room. 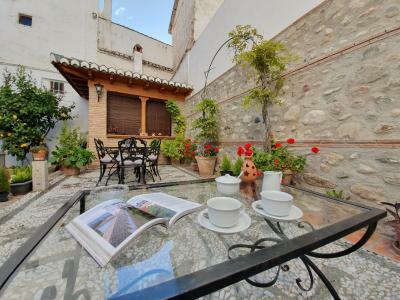 The breakfast was in a courtyard and the property itself was in the old quarter of Granada, narrow lanes without cars. Very charming. 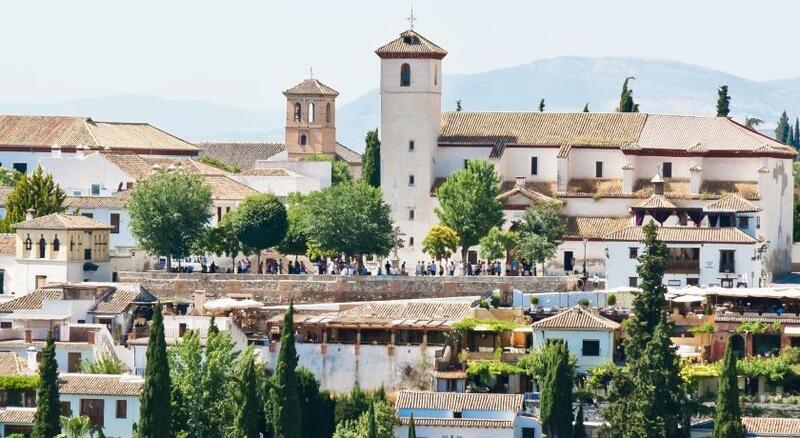 The staff were extremely helpful and knowledgeable, and gave excellent recommendations in terms of seeing sites in the Granada. The room was very comfortable, excellent location. 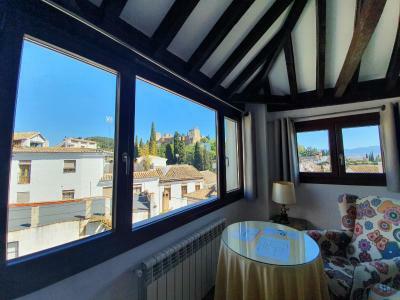 Incredible value for the comfort of the room and the city views! Would love to come back. The staff gives every guest personal attention (and a very useful overview of the area). The premise has real character. The view is stunning. All together, a unique place to stay. Excellent location. Very friendly and helpful. Very comfortable and good breakfast. 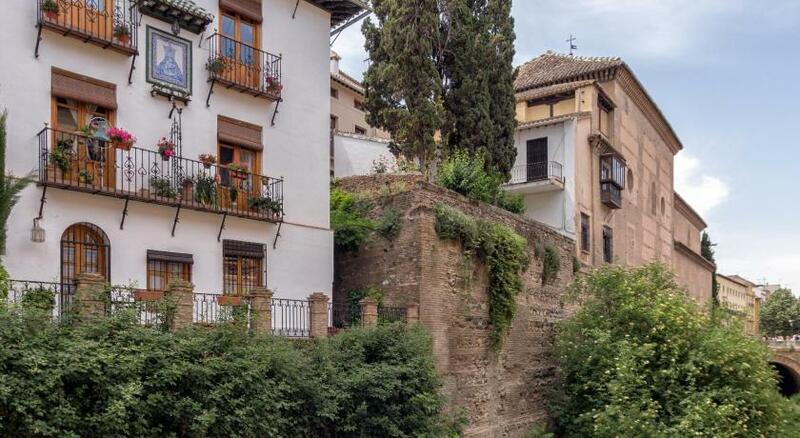 This 17th-century building is located on a pedestrian street in Granada’s beautiful Moorish Quarter of Albayzín. 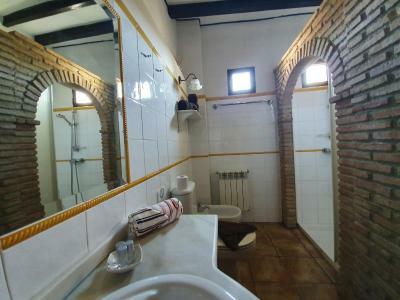 It offers charming, air-conditioned rooms with private bathroom. Free WiFi is provided thorough all the property. 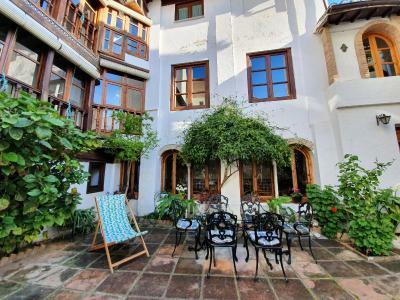 The Casa del Aljarife has a calm interior courtyard with a seating area available for all their guests. 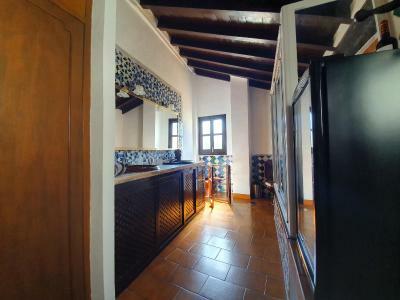 Casa del Aljarife has a bar serving snacks and drinks. 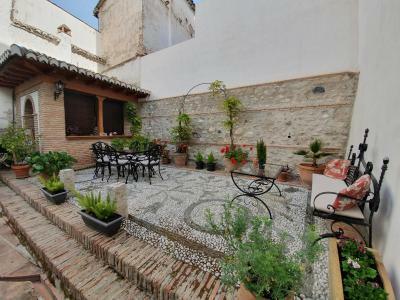 There are many bars and restaurants in Albayzin area, and the famous Elvira Street is just 800 feet away. 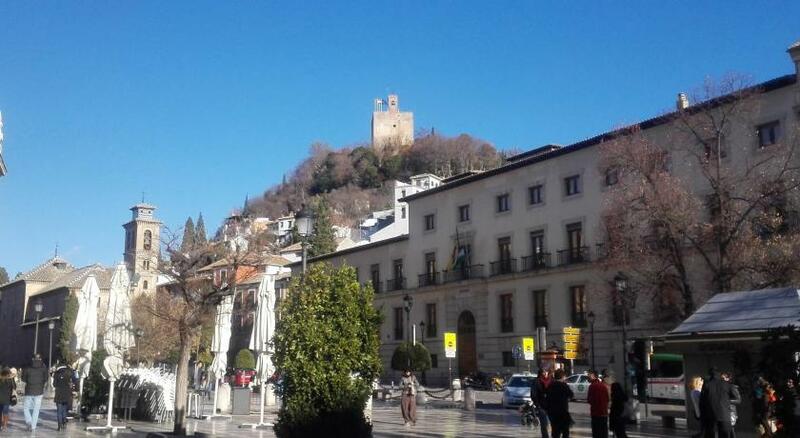 Staff at reception can provide information about what to see and do in Granada and offer ticketing service. Sierra Nevada Ski Resort is 40 minutes’ drive away, and ski storage is available on site. 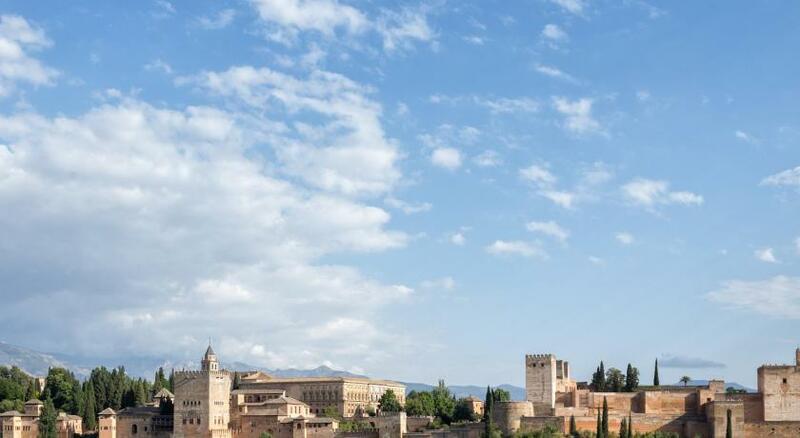 Ideally located, Casa del Aljarife, is at a 15 minutes' walk to the amazing Alhambra Palace and Granada Cathedral is 5 minutes’ walk away. 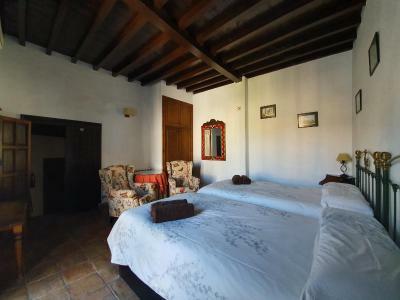 When would you like to stay at Casa del Aljarife? 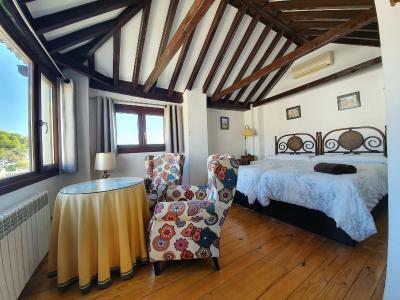 This air-conditioned room features country-style décor with wooden beams and a balcony. 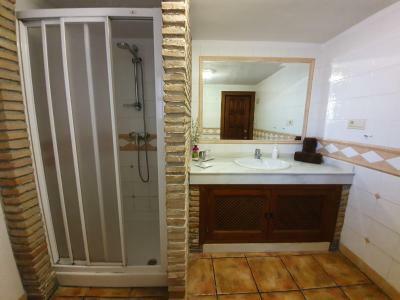 It comes with a private bathroom that includes a shower, a bidet and a hairdryer. 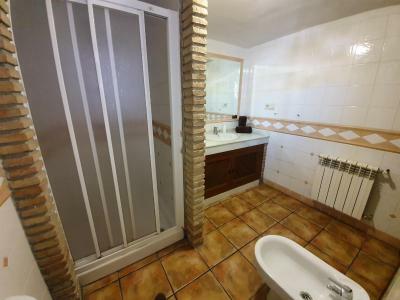 It also features heating, free WiFi, and a mini-bar. 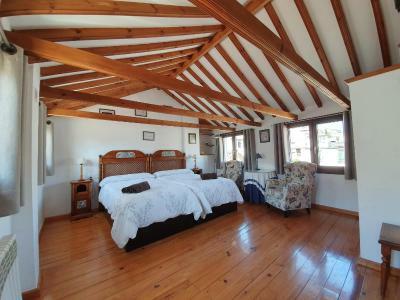 This air-conditioned room features country-style décor with wooden beams. 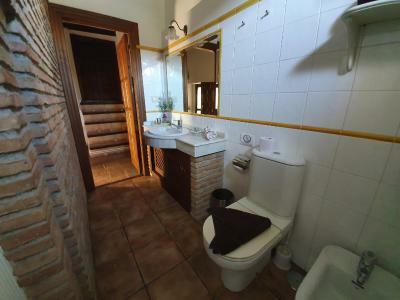 It features three single beds and a private bathroom with shower and bidet. 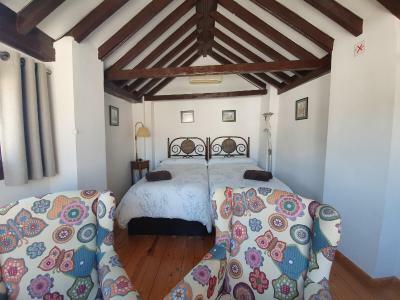 This room also features heating, free WiFi and a mini-bar. 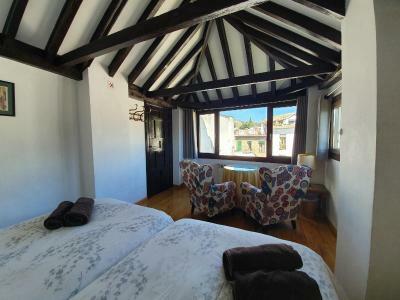 This twin room features views of the Alambra and the city. 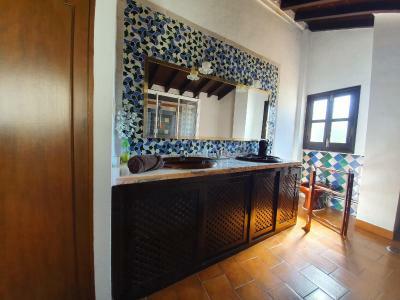 It comes with two single beds, a mini-bar and a private bathroom with shower or bathtub, hairdryer and bidet. This room is air-conditioned and comes with heating too. Free WiFi is provided. 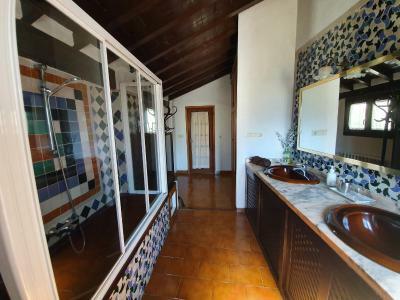 House Rules Casa del Aljarife takes special requests – add in the next step! Casa del Aljarife accepts these cards and reserves the right to temporarily hold an amount prior to arrival. 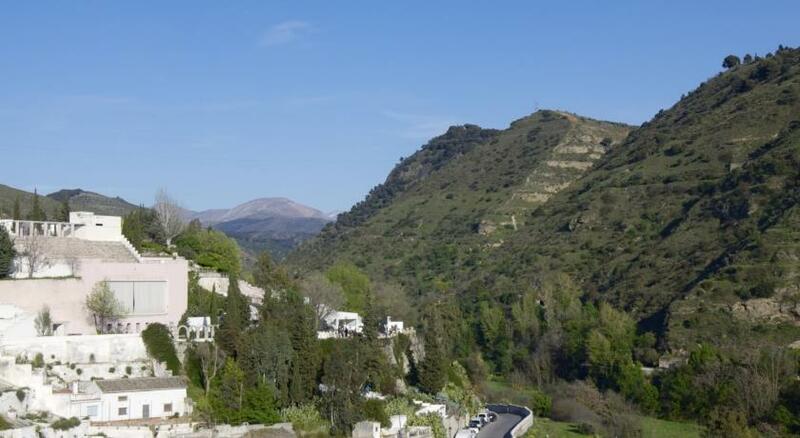 Please note that the parking is located outside the property, reservation is needed and it costs EUR 18 per day. Please inform Casa del Aljarife of your expected arrival time in advance. You can use the Special Requests box when booking, or contact the property directly using the contact details in your confirmation. Expensive parking, but standard for Granada. Damian guided us to our parking area and then helped us with our bags. He was very informative and helpful with sorting out our Alhambra tickets as we had a problem with the ones we’d booked online. 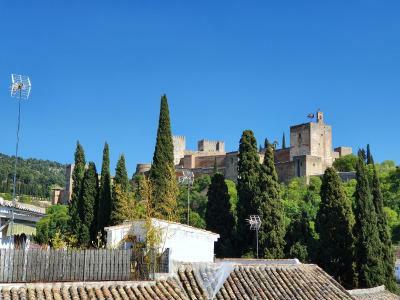 Fantastic to have a view of The Alhambra from our bed and our terrace. So glad to have found this small place. 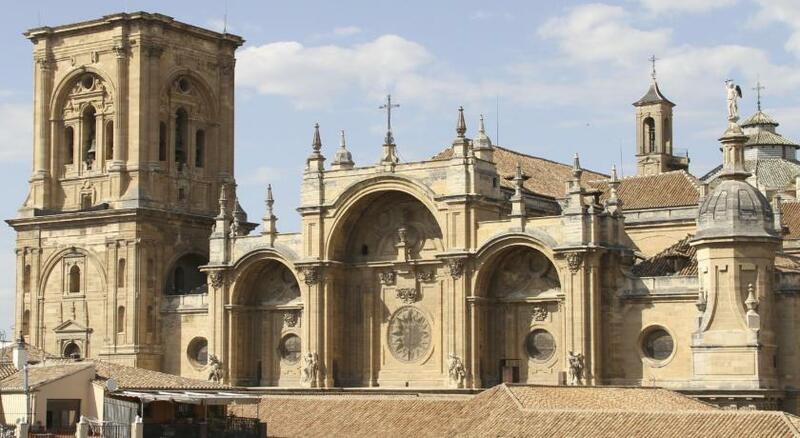 Location is in the Albaicin and we visited all the sights on foot. 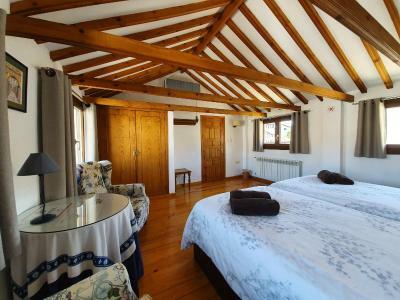 The rooms are well appointed and very clean. The house is full of character . Damian was really helpful and suggested what to visit and how to go about it. 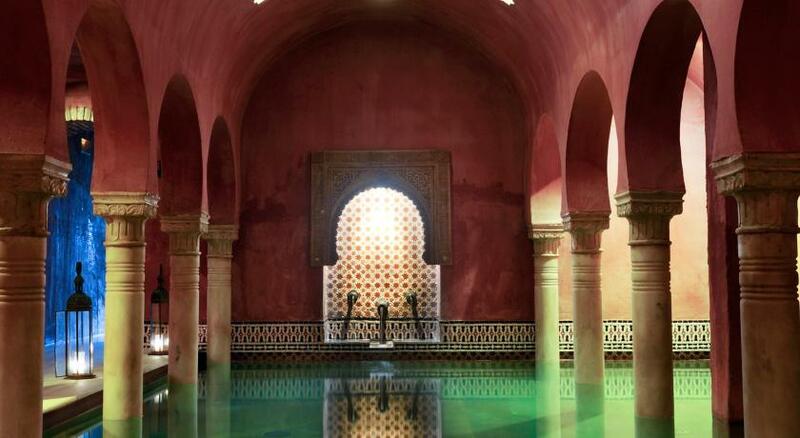 If you are looking for an authentic Granada experience, look no further. What a fantastic stay with a breathtaking view. 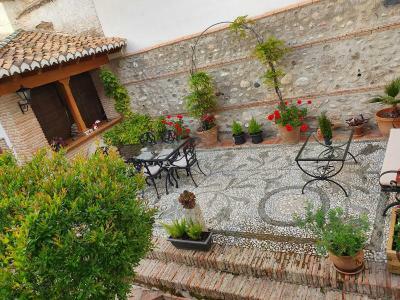 The location is slightly tucked away in the pedestrianised part of town, off the main tourist drag, making it quiet and atmostpheric and immersing you in the old heart of Granada. 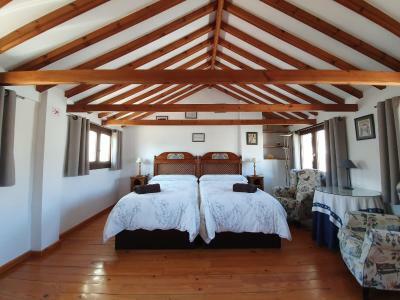 Damian's friendly welcome and handy, practical tips and Rocio's delicious breakfasts with a smile made it a truly enjoyable and memorable holiday. 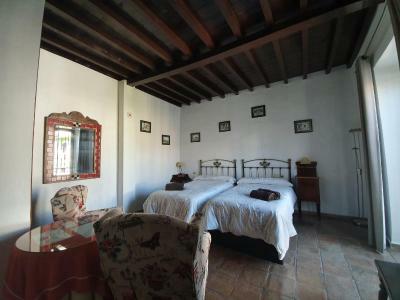 Our room was light, airy and comfortable with a marvellous view of the Alhambra. I miss it already and hope to go back again soon! 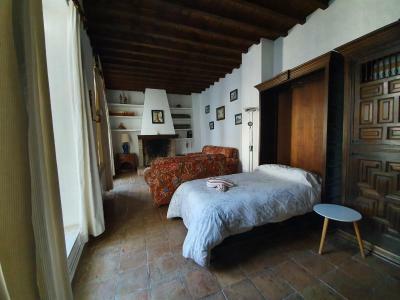 We loved everything about our stay at Casa del Aljarife - a beautiful room and a charming courtyard garden. 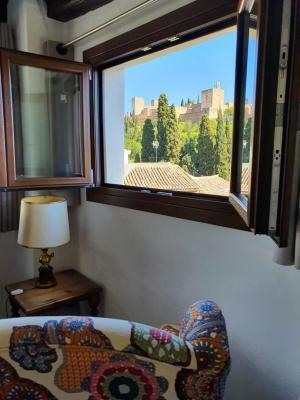 The location is perfect, off a tiny square in the Albaicin district, and there is nothing quite like waking up to a view of the Alhambra from you bedroom window! 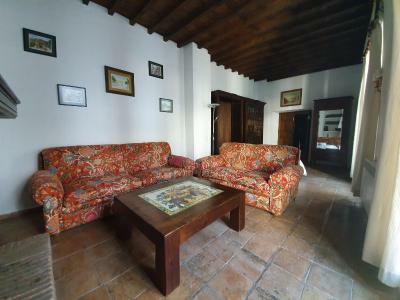 But the best asset of the property are its hosts, Damian and Rocio, who were generous, friendly and went out of their way to help us in every way. We couldn’t recommend it highly enough! We loved our stay here, the place was fantastic! Cute and small hotel, warm rooms (it gets cold outside in january), good shower with plenty of warm water and the most comfortable bed I've ever slept in. Location perfect, the owners helpful and sweet. We would definitely return! Excellent host and nice view from the room with terrance. 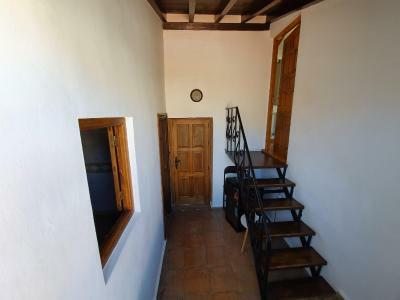 The property is run by a young couple who were very hospitable. 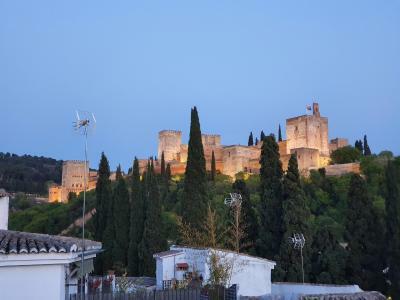 They run a good place which is clean, reflects the architecture of the times, well located and has outstanding views of Alhambra right through out the day and night. 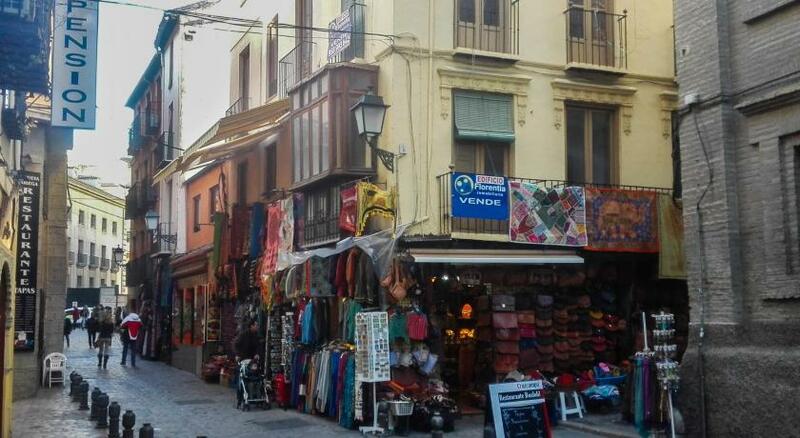 The were helpful with luggage in getting to the hotel through a pedestrian only area and also shared details about good places for wine, Tapas and sightseeing.